China is notorious for its poor copyright protection, with one international company after another turning to Chinese courts to sue for copyright infringement. The popular U.S. brand of Ritz crackers is at the center of the lastest trademark infringement case in China. On May 15, Dongguan Intermediate People’s Court in southern China’s Guangdong Province held a court session to hear a case filed by Intercontinental Great Brands LLC (formerly known as Kraft Foods Holdings) over the infringement of its Ritz trademark by two Chinese companies, Dongguan Changshunli Food Limited Company and Jiezhou Food Limited Company, according to a report by the state-run Dongguan Daily. 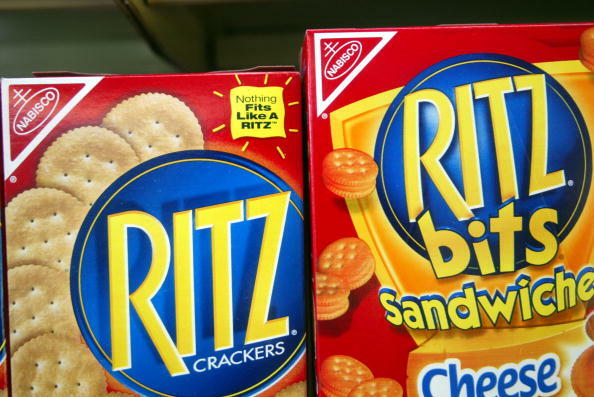 The U.S. company, the maker of the popular Ritz crackers, argued that the two Chinese companies had infringed upon its Ritz trademarks—which are registered in China—by selling cookies under the brand name Rize with a similar typeface. 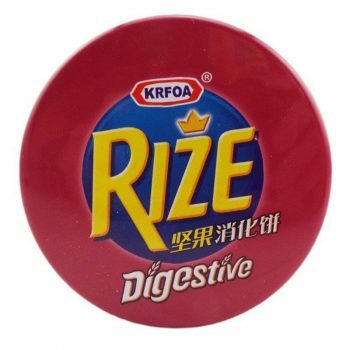 Ritz argued that the Rize name, as well as the packaging design, was very similar to its registered trademarks and confused consumers. Intercontinental Great Brands demanded that the Chinese companies stop making and selling the cookies, which have been on the market since 2010, and pay a compensation fee of 5 million yuan ($775,230). While representatives of the Chinese brand Changshunli were present for the court session, no representatives for the other accused brand, Jiezhou, appeared in court. The result of the lawsuit would be announced at a later date, according to Dongguang Daily. This is not the first lawsuit filed by Intercontinental Great Brands in China. According to a report by Tencent, a popular news portal in China, it filed a lawsuit in a court in northern China’s Anhui Province, accusing a Chinese company of infringing its Oreo brand, using the same Chinese characters as Oreo to sell rice snacks. It is not known whether the Oreo case has been settled. For years, the U.S. government and American businesses working in China have complained about China’s theft of American intellectual property (IP). According to a 2017 report, the Commission on the Theft of American Intellectual Property estimated that the U.S. economy suffers an annual loss between $225 and $600 billion due to China’s IP theft. 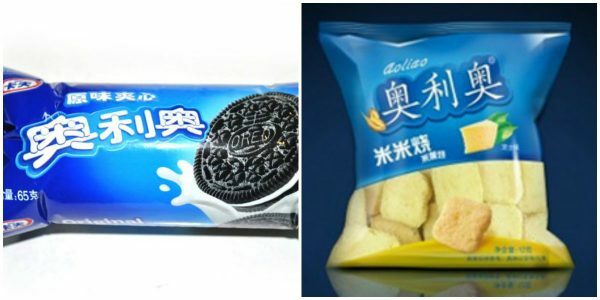 Oreo and Ritz are hardly the only products that Chinese companies have tried to imitate. Nike has been mired in a copyright battle with China-based Qiaodan Sports Company for 16 years over its Air Jordan brand of sneakers. Qiaodan Sports sells shoes with a similar logo as Nike, and its name sounds like the phonetic transliteration of “Jordan” in Mandarin Chinese. In August 2017, U.S. sportswear company New Balance, after years of a legal battle, was awarded 10 million yuan (about $1.5 million) when three Chinese shoemakers were found to have infringed upon its logo, according to Reuters.